A good part of making sure that you make a good first impression is to have a beautiful smile. Brushing and flossing every day is a good start in keeping your teeth healthy and your smile bright. This doesn’t mean you will have the smile of your dreams forever or that you won’t suffer any tooth damage. For some damaged teeth are still going to be a problem. The first step to getting a great smile is to talk to Dr. Kathleen Geipe, your dentist in Salisbury, MD. There you can learn more about your options and get the attention you need for a beautiful smile. Cavities can plague your mouth and cause damage both now and in the future. Leaving a cavity untreated will ultimately lead to broken or unsalvageable teeth. Dental fillings can provide you with the strength that you need to fortify your teeth and keep them whole. It is also an important part of treating the tooth so that it will stand less chance of becoming decayed again. 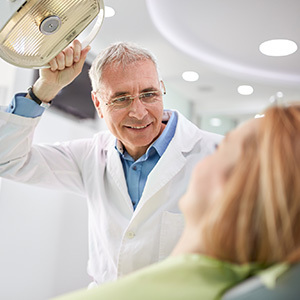 When visiting your Salisbury dentist you will likely be given an x-ray so that the dentist can see if the tooth is strong enough to warrant repair. Then they will clean the tooth and put the filling in. The compounds used today are typically well matched to the average tooth color and allow for eating of regular foods and drinks fairly soon after the procedure. The process of getting dental fillings can provide your teeth with a better chance to stay whole and avoid future cavities as well as help you get a beautiful smile. Fillings of today are faster to apply and look better than they ever have. Take the time to learn how these fillings can help you get a smile you will be proud of. Call Dr. Kathleen Geipe at (410) 543-0599 to find out how a dentist in Salisbury, MD, can help you.